Walking the dog, originally uploaded by biroschik2000. 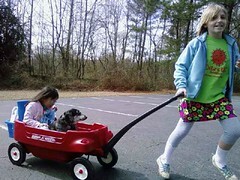 We need a bigger wagon so I can get a ride too. 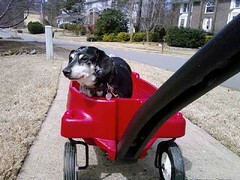 Merle it too old and husky to walk the neighborhood any longer, so we take him in the wagon for the first half and he walks home. 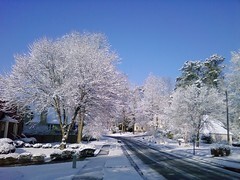 Art, originally uploaded by biroschik2000. 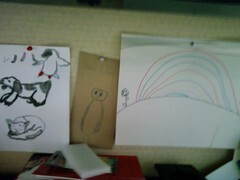 I just added Julia's rainbow to my wall at work.